I read this book along with The Bell Jar for my local book club and I was curious to find just how much her famous novel mirrored her own life. The book club met last month. No one managed to read through the whole of Wintering. Lucky for you, I am stubborn and insisted on finishing. Though beautifully, poetically written, it is a verrrryyy slow read. So here we are, a month later. Wintering jumps around a little to different points in Plath’s life that correspond to poems from her collection Ariel. Moses does an astounding job of creating an intimate view inside Plath’s mind, gleaned from a mountain of research on her life, including her own diaries. Suffice it to say, The Bell Jar does closely resemble Plath’s life, including her attempted suicide and experience with shock treatment. The end of The Bell Jar was left open, suggesting she moved on with her life at the end of her institutionalization. Through Wintering, we witness a sort of continuation of her life…falling in love with a fellow poet, living a short fantasy life at Court Green, an ancient home in the countryside. It is unfortunate that Plath did not live to see how successful The Bell Jar came to be. Wintering ends two months prior to her suicide, which I found so disappointing at first, because this was, besides Hughes’ affair, one of the most interesting parts of her history. We want to know what brought her to that point. Instead, we are left with even more questions. By the end of December, she was writing again and seemed to gain strength and confidence. What pushed her over the edge? But Wintering’s ending mirrors well The Bell Jar’s ending, presumably on purpose. As I mentioned, this book was hard to get through. Moses writes beautifully and descriptively-so descriptively, that one tends to lose sight of what is going on, getting lost in the details. On the other hand, her style is so effective in evoking the feeling of the time, of their life together (Plath & Hughes), and the beautiful sadness and desperation Plath must have felt. 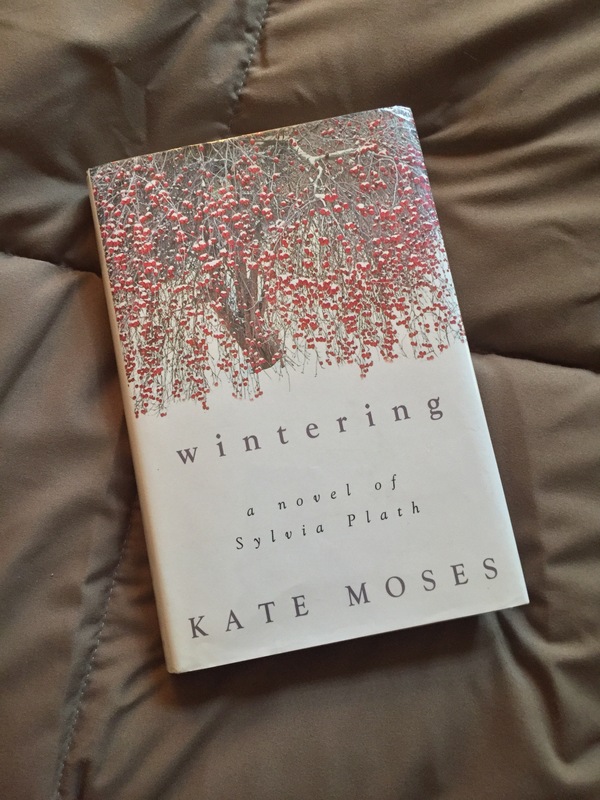 As a mother, Wintering was especially heartbreaking to read. Moses describes in great, loving, detail moments spent with her two young children. Knowing that these babies would grow up not knowing their mother, not having memories of the moments described…devastating. If you are a huge Sylvia Plath fan, this book will give you an intimate view into her mindset and struggles during the months after her marriage broke down and before she took her life. For an even richer read, you could pull up and read each poem used for each chapter. I’d love to know what others have thought of this book or if this review strikes your interest or turns you off to it. Love it? Hate it? Intrigued? Turned off? You tell me!